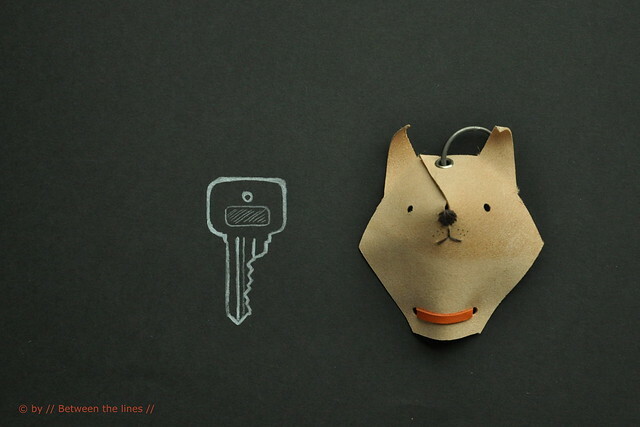 Last week, while I was working on the leather key holder, I had an aha-moment. 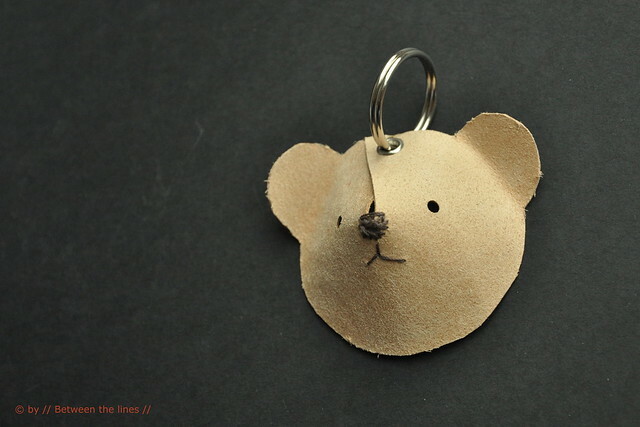 On top of one of H's birthday presents, last summer, sat a cute 3D card stock bear head/tag. Because I thought it was so cute I rescued the little bear from the recycling bin and it'd been sitting on my desk ever since. Until last week, that is. 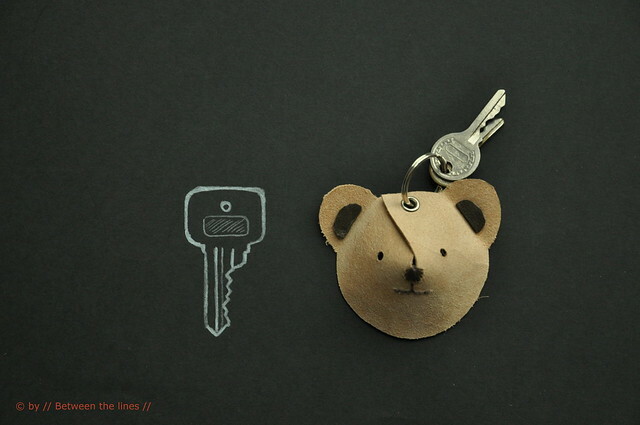 All of a sudden, I new what I wanted to do with it - make a replica in leather and use it to hang on a key chain. And that's exactly what I did. I tweaked the design here and there and even came up with a little fellow critter. So easy to make and according to my girls very cute (do I need to tell the little critters have been claimed already ?). Use sturdy leather for this project (I used low grade but rather stiff leather for mine). Besides leather, you will also need a (leather) needle and thread, an eyelet and eyelet setter, and a key ring. Skip the sewing and have your little ones decorate their bear or dog head with markers, if you like. Punch a couple of holes for the eyes. To keep everything together and give the head its 3D shape, slam an eyelet through the top as shown in the template, attach a king ring and you're done. 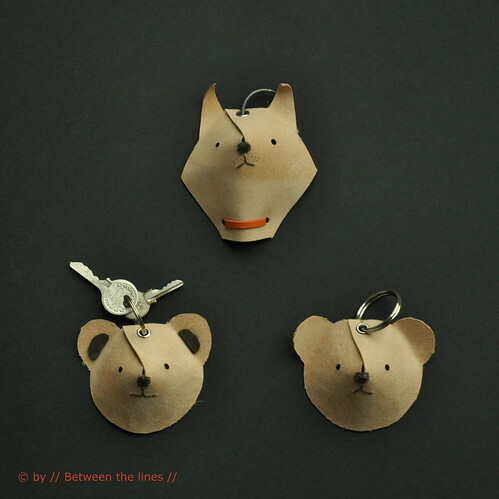 Wouldn't these make cute party favors? Or how about making a whole bunch of them to decorate your Christmas tree. And if you're good at drawing (which I'm not), try making different animal heads. If you do so, feel free to post them in my Flickr group - I'd love to see which animals you come up with! Note: if you can't find leather, try using other materials like vinyl, or foam sheets, heavy weight felt, ... as long the material used has a certain stiffness this should work!